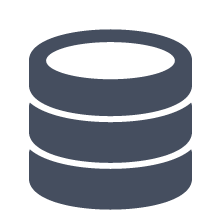 Database libraries allow apps to embed and access database systems. This overview of database SDKs provides you with the most-used and well-known database libraries like Firebase, Ormlite, greenDao and ActiveAndroid. It is now possible to purchase a Top 500 list of apps that integrated a specific SDK. For more information click on the specific SDK and click on the "Buy" button. If you want your library added to our list, suggest it to us. A collection of libraries that help you design robust, testable, and maintainable apps. Realm is a mobile database that runs directly inside phones, tablets or wearables. A robust, powerful, and very simple ORM android database library with annotation processing. ActiveAndroid is an active record style ORM (object relational mapper). Android compliant java-driver to connect to a MongoDB.